“Showing up” is not about the day-to-day grind. It’s not about “time to make the donuts.” “Showing up” is about stepping out of your everyday world and stepping onto a plane, getting into a room with like-minded folks and taking the risk to close your firm for two and a half days when you have every reason in the world why you should not. But you do it because you have faith that the very thing you need to get over the hump is waiting on the other end. “The knowledge you will take away will be very beneficial to the success of your firm.” – Jessica K.
“It’s an amazing program! Helps keep things focused and moving. If you’re going to attend, bring the whole team so everyone can gain info & be empowered.” – Jordan S.
“It was outstanding! Well worth the time and money to attend! Why weren't you here?” – Frank M.
This is the last Practice Enhancement Retreat of 2014. If you are on track for meeting annual goal, feel your team is running consistently on all cylinders, have a great work/family life balance and see no areas in need of growth, refinement & efficiency…CONGRATS!!! If that’s not the case…STOP waiting for “X” to be in place before you make the commitment to have the practice you know you’re close to creating. There’s not a business owner that we know of who got over the hump magically, or on his or her own. Consider the possibility “X” is on the other side of the Practice Enhancement Retreat and you can still end 2014 with record numbers. But you MUST show up to uncover the possibilities. Contact Kyle Russ at kruss@lawyerswithpurpose to register today! An elephant balanced on a small ball, a tightrope walker, a ballerina en pointe. I am continuously amazed and impressed by balance. To me it denotes focus, grace, concentration, skill, practice, dedication and a sense of victory. After all, what is balance but a victory over gravity achieved by dedicated hard work? After 15+ years’ experience as a team member in a number of law firms, and the past eight months as a CC&I coach to several dozen firms, one of the most striking differences I’ve noticed between successful firms and struggling firms …. is balance. Anything done to encourage a prospect or prospects to become clients is allocated to marketing, not including the Vision Meeting or Initial Consultation. The rule of thumb here is for the firm to spend 40% of its time finding prospects, getting its message out, and enrolling clients into workshops (and then into a Vision Meeting) or initial consultations. This includes your weekly marketing meeting, time spent developing and cultivating your RMS process, involvement in community events, development of blogs, your website, newsletters … wherever your firm has decided to invest its resources to attract clients. The remaining 20% of your firm time template should be reserved for firm administration. This includes your weekly staff meeting, paying bills, filing, bookkeeping, cleaning off your desk, taking out the garbage, and whatever needs to be done to oversee the mechanics of your operation. A firm that sacrifices or neglects its time template to meet client demands is one that endangers itself and its operation. It’s just that simple. I’ve had team members argue with me that the restrictions of a time template limit their ability to meet their clients’ needs. A few days ago I was on a commercial airline and heard again for the zillionth time, the instructions that if an air mask drops down, the passenger should first put on his own air mask, THEN assist others. The underlying message is that you’re not going to be much help to anyone else if you don’t see to your own reserves first. Embarrassing mistakes are made in client documents and handling client matters. Team members are tired, unorganized and discouraged. Team members must constantly interrupt each other causing productivity to sharply decline. Revenue can fluctuate wildly from month to month. Long-Term goals and projects are not completed or are abandoned. Weekly staff and marketing meetings are hit and miss, often hijacked by more pressing issues. The firm operates in high-stress mode, focusing on what is urgent and demanding, often overlooking critical, but less urgent issues. Your RMS process suffers from neglect and prospective synergy partners lose faith in your firm and its promises. If your firm is not operating under a firm time template that has an effective 40/40/20 allocation and you would like help in structuring a more efficient environment, drop me a line at ncatale@lawyerswithpurpose.com. To learn more about Lawyers With Purpose and how we can support you in your estate planning / elder law practice, please join us and experience first hand - in the room - for our Practice With Purpose Program in Phoenix, AZ, October 20-22nd. We only have limited space so click now and register today. Seriously, 128 Days until year end!? Can you believe there are fewer days ahead than behind in the “New Year”? Wasn't it just 1 year ago where you were saying “NEXT year is going to be the red letter year!”? How’s that going so far? How long have you been putting off setting revenue goals? Creating, and operating weekly by, a marketing plan? Investing in getting your team properly trained and running on all cylinders? To register today email Kyle Russ at kruss@lawyerswithpurpose.com. How's Your Marketing Plan Working For You? At LWP, whether we're on an implementation call or at our Tri-Annual Retreat - or serving elsewhere, we're getting questions about marketing. It seems to be the No. 1 concern. So, we created a bi-weekly marketing roundtable call to give you the space to ask questions or get your marketing needs met. Our last call was all about your marketing plan. Where do you get started? How do you get it started? These are areas we facilitate and talk about on the call, so I encourage you to show up – and participate! I promise, you’ll get something out of it if you do. You may or may not even be serving in a marketing role in the firm, but it’s something you know you need to focus on, so let’s dig in. So often when I’m on implementation calls I hear that people will table their marketing plan review at their weekly team meeting. Or they have a weekly marketing meeting but they only look at the RMS reporting, not consistently at the marketing plan. So I want to get everyone back on track as we are headed into end of August, with only four months left after that, to make sure you reach your goal. We have a theory at LWP that goes like this: “What gets measured, gets results!” So, if you’re not looking at your marketing plan weekly – start! Even if it’s blank, look at it. I can promise you that, if you just spend two hours a week to make progress on your marketing plan action items, you will increase your revenue. The best plans I’ve seen started right there – blank. But they eventually grew until every space was filled out and completed. And that didn’t happen overnight. Also, they almost all start with the attorney in the “WHO” (responsible for) section – but they eventually change to the RMS coordinator landing in the “WHO” section, and that’s when things really start rocking and rolling. If you commit only two hours a week, I promise you – with time management and deciding as a team that, come hell or high water, you're going to dedicate time to your marketing plan – you WILL double your revenue. It just takes time, discipline and determination. One of the most common roadblocks I come across on implementation calls is apprehension about that term “marketing.” People tend to clam up a little. And if you have that feeling where you hear “marketing” and you get apprehensive and find yourself shying away from it, I challenge you to think of it differently. Because what you're actually doing is building and nurturing relationships by counseling your clients and advisors. Don’t even use the term “marketing” if it doesn’t sit well with you. Don’t let anxiety paralyze you when it comes to marketing. Make a mental shift and approach it in a way that works for you. Make it your own and interact with it in a way that feels like you are making a difference. Don't think about it like you are “selling” but rather like you are communicating your value in the marketplace. • Retail: This is anything you write a check for. It has a slower ROI and has to be consistent and constant, because consistency is the key to your retail marketing. This is ads in newspapers and radio spots, for example. The best thing you can do here is to create a budget. (We do have a call that addresses creating a budget too.) When creating your budget, be honest and realistic. If you only have $500 a month for the next six months, that’s OK. Figure out what you’re going to do with that money and do it consistently; don’t bother if it’s a one-shot deal. Members have said to me so many times, “I ran an ad and no one called or showed up.” The problem is not the page your ad appeared on or the circulation it’s in, it’s the consistency. If you want to brand yourself as the expert in your area, they have got to see you over and over again. Bottom line. In the long haul, your retail marketing does pay off, but you must be patient and stick to your budget. Quitting is a mistake. It takes people seeing you 5-7 times before they take action. Retail takes money and consistency for 6-12 months to work. It’s not a magic bullet. People get so frustrated with their efforts in retail marketing, but branding is important and drives your wholesale marketing. It may take some research to find out the best placement or circulation, but eventually you will identify your ideal market and client, and then you can put your marketing dollars towards that with confidence. • Wholesale: This is all about your relationships. When starting out in marketing to build your referrals, wholesale is the bulk of your marketing efforts. It’s your blood, sweat and tears, your starting path. It drives business quicker. It’s your face-to-face synergy, strategy, and relationship-review meetings. It’s you showing up, being present to them and demonstrating the value you create. If you have unlimited time and little money, do this and the money will come! Then, once you get it going and you need to hire, LWP can help. The greatest resource you have in this area is your time, and the follow-up is crucial. It won’t be successful if the conversations that you're having don’t have a next action attached to them. I can’t stress that enough! Don’t look at it like it’s transactional, because if you do, I promise you will sound that way and they will feel it. I like to say it’s like you're dating them. You have to realize it takes time to build the relationship, much like dating. Show them that you're interested in a long-term “committed” relationship, and prove yourself! Get into their perspective and create power in partnership. • Community: This really combines your wholesale and retail. It’s consistency and branding, but it’s not just you donating money. Everyone does that. What community means is bringing the wholesale and retail together and having your face attached to your name/brand, and getting involved. Have the entire team do a walkathon together. Do something like that every quarter. It doesn’t mean just throwing a check at a sponsorship, it means getting involved. It’s being in the community AND developing your relationships. It’s your FIRM participating, making it fun and, at the same time, letting your community see you. So start bringing your marketing plan to your next team meeting. It may be a mess, it may be outdated and it may even be a blank one that you print from the website. But have it there. And be the firm advocate for making it a living document. This isn’t just another document you’ve got to bring into the room to make your team or marketing meeting longer or more difficult. It’s the revenue generator for your business, and you must have a conversation around it regularly and be focused and intentional with it. Declare who in the office is going to own it, and I strongly encourage you to assign someone other than the attorney because those are the plans that are the most successful. Take it seriously for the months of September, October, November and December. And you only have to take it one step at a time. If you just take two hours a week to work on one item per quarter from either your wholesale, retail or community plan, it will make a huge impact on the revenue in your firm. So my challenge to you all is to send me your current marketing plan - rdrotar@lawyerswithpurpose.com. I’m happy to review it and give you feedback and really support you with implementation of your plan before the end of the year. Are you going to the most critical event that will change your estate planning, asset protection and elder law practice? The Asset Protection, Medicaid and VA Benefits Practice with Purpose Program October 20-22 in Phoenix, AZ. National Medicaid and VA experts Dave Zumpano and Victoria Collier will be hosting this three day program and bringing dozens of attorneys together to discuss and solve the most critical elements and strategies around today's Asset Protection, Medicaid and VA needs of our clients. Click here now for the course outline and to register. Key choices to complete the physician affidavit for more timely approvals. The effects of the Supreme Court decision on DOMA related to veterans benefits. 50 state Estate Recovery Article and updated state by state summary. Grantor Trust Summary and use tool. Click here for a full outline of the program and to register for this event that has SOLD OUT the past 5 programs. There are ONLY 25 seats available…DON’T WAIT TO REGISTER! During our weekly marketing meeting recently, our social media strategist shared that she was having problems getting information from one of our vendors; “They say they can’t give us access because….” Without skipping a beat, our CRM extraordinaire blurts out, “So sad, everybody’s swimming upstream.” Living in a world of scarcity = if I give you access to X, then you may no longer need me. Once I got involved, it was like magic – we had the information we needed in less than 15 minutes. I couldn’t help but incessantly think about this over dinner and, honestly, well into the night. OK, I lost sleep over it. How could a vendor we are doing business with (paying) not give us what we are paying for? It got me thinking about the law firms I work with every day. From the first implementation call, we are pumped to get on the team’s side because “here we are to save the day,” we have systems and processes to make your life so much easier and efficient. Over the past 17 years, fewer and fewer teams are stoked about the promise of systemization. They fear they will become irrelevant, that they will eventually be out of a job. They think, I’d rather swim upstream day in and day out than gamble with the possibility of becoming unnecessary. We all want to be needed. Scarcity creeps in when it comes time to give up that special X that only you do or have. But the honest truth is that people will continue to pay you over and over, and never think twice about it, if they feelsafe, heard and appreciated. Integrity, compassion and character cannot be systemized or replaced – especially in the personal services industry. So the next time you feel that bit of panic when someone asks you to systemize what you do or train so and so to do what you do or provide us with the passwords to X, dig deep. Check in, and if your integrity, compassion and character are in place, nothing but opportunity and growth is waiting on the horizon for you. If you lead with creating a safe environment where people feel heard and appreciated, you have nothing to worry about. Those “job functions” are few and far between. One of the first homework assignments we give to our members and their team is listenting to "The Attorney / Team Mindset To Create An Extraordinary Practice." We highly recommend you carve out 1 hour of time - with your team - and give it a listen. We promise, it WILL change your mindset day in and day out and the way you all communicatea nd function as a team moving forward. If you have not yet noticed, the entire LWP Estate Planning Process™ has been revised with new documents and support tools. Go to the LWP Processes Tab, click on the first tab (LWP Estate Planning Process), and check it out. The first folder – “Estate Planning Process Full Binder” – contains a single link that will enable you to print out 90% of the contents and should replace the 2012 binder you have been using. There are 229 pages of great stuff in there. The Five Key Focusers™ have been updated to enable your firm to capture additional important information and are available to you in both Word and Excel formats. The Workshop Outline has additional information about free publication for your workshops, and a detailed but concise follow-up process with supporting letters. Check out the “Appendices” tab in particular as that contains updated and revised tools for your firm. The organization mirrors the process, so you can easily locate what tools you need for each step of the process. For example, if you want to figure out what goes into a Vision Meeting™ folder, all the pieces are together, in presentation order. Simply click, insert your firm logo and print. There are 18 letters that support the process, from workshop enrollment to file closing. In Appendix “F” we have revised versions of the design templates that more closely mirror the design software. In Appendix “G” we have included sets of inserts for your client estate planning binders that provide an overview of each document, plus additional client planning pieces such as Memorial Instructions. In addition, videos and webinars that support each step of the process are in the process of being relocated so that members can more easily educate themselves on specific steps in the process. As we continue to develop additional tools for our members, they will be search indexed, and added into the appropriate steps of the processes. I’m personally very excited about these changes, and would love to hear your feedback! Email me directly at ncatale@lawyerswithpurpose.com. 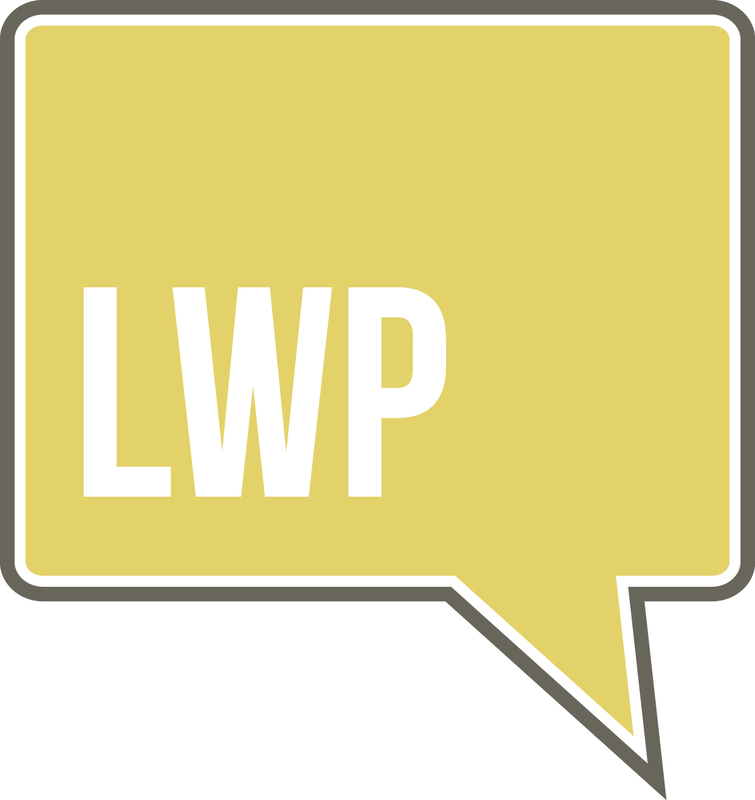 And, if you're a member you have access to "How To Fully Implement The LWP Process" webinar on the members website. If you want to learn more about the Lawyers With Purpose Estate Planning Process, please join us in Phoenix on October 20-22nd for our Practice With Purpose Program. Click here to register now and reserve your spot. Seats fill quickly so register today! I’ve had a few implementation calls with a team that is 100% committed to reaching their revenue goal. They’ve got all they need in their pipeline, marketing is producing leads, workshops are getting filled, production is keeping up as much as possible with the growth, etc. They have such determination to reach goal that it’s been inspiring to participate in their conversations, anchor them to the LWP tools and support them. This had such an impact on the team that they decided to take their rules a step further. When talking together and planning for the upcoming vacation for the attorney, the team created some “Rules of Vacation” to make sure he took some much-needed time away without having to worry about the office during his absence. Vacation means vacation – trust your team – you have the right people in the right places – they have your back when you are in the office at all times – they will have your back when you are out of the office at all times!!! Attorney may not call the office unless it is in response to a 911 text, email or voicemail from the team. Attorney may check and respond to emails at assigned times approved by spouse once in the morning and once in the evening so that they don’t have anxiety about it throughout the day. ttorney MUST at all times have fun. Attorney MUST at all times be present to the family. The family MUST make attorney put on either Mickey Mouse ears or a princess crown and send that picture to the team for future blackmail and accountability purposes. Attorney MUST tell himself or herself every day that this vacation will not be a repeat of any dreaded prior vacations and remember what a great workplace we have created to permit such a vacation. Attorney MUST not call the office 100 times a day! Attorney MUST get the initials of family members as proof that they went over the Rules of Vacation together and had fun doing it. I, _________________, acknowledge that I have read and understand the above Rules of Vacation. I know we are winding down vacation season and headed back to school and then quickly into the holidays. But grab onto these rules and make them your own and empower your team to communicate so you can power down on that next get away - whenever it is! If you want to learn more about Lawyers With Purpose and how we can help you take your next vacation AND generate revenue, join us October 20-22nd in Phoenix, AZ, for our Practice With Purpose Program. Click here to register today! Seats are filling fast and October is right around the corner so grab your seat now. If you're a member and would like to come to the Practice With Purpose Program, please contact Angela directly at acrowther@lawyerswithpurpose.com. Tom was making the same colossal mental mistake most attorney practitioners make, thinking he was doing everything he could to eke out a respectable living. He certainly was working hard enough. Tom and his partner Richard started their practice together a few years ago. They both thought they could earn a better living than working for their respective law firms. It didn't take long for reality to set in. Their hours were longer and they earned far less per hour than they had when they had employers. They hired an admin, Sally, about a year ago. It definitely helped but there were still problems. After Tom read the intro to the Revenue Focuser Workbook, he was definitely intrigued. He coordinated two hours for himself, his partner, and their admin to watch the video and work through the workbook. Tom and Richard thought about how much they really wanted to pay themselves every month. Since they'd opened their doors, they had never been able to pay themselves that magic number. They also recognized that, for some reason, their marketing efforts were unfocused and never attracted the right clientele. They could only help a small percentage of the prospects who called them. Together the three identified their key revenue-generating services. They added up the hours they spent delivering each service. Tom and Richard also looked at the total hours they spent in the office each week. They felt a knot in the pit of their stomachs when they discovered their office was operating at less than 20% of efficiency. In fact, they barely operated at 19% efficiency. Tom and Richard realized it was time to figure out how to retool their processes so they could handle their clients more efficiently; they also needed to determine how to attract the right clientele. If you haven't worked through your Revenue Focuser, it could be the most important hour you spend. When you decide it's time to eliminate the long hours and the feeling of being overwhelmed,take 1 hour and Complete the Lawyers With Purpose Revenue Focuser. The income you want to earn and the ease you want to experience is within your reach. If you have any questions about your Revenue Focuser results, send us your questions on the form on our contact page. Just send an email to info@lawyerswithpurpose.com. And, if you're interested in learning more about Lawyers With Purpose, please click here and register today to attend our Practice With Purpose Program in Phoenix, AZ, October 20-22nd. We'll see you then! So, this morning on the way to work I got a speeding ticket and as I sit and think about my actions it is bringing much to mind. How often do we speed through life...through our days...going from one thing to the next? We rush into our days, through our days, and then back home to rush through our evenings and our time spent with family and/or friends. We say yes...we say no...But are we really giving the questions the proper thought, time and energy? Are we asking the right questions to ensure that what is being asked of us is going to be carried out in the best way possible and we are the best person to be doing so? Are we being present in our jobs...during our meetings....at home during dinner with our loved ones...putting our children to bed...or are we just passing through the fastest way possible to get to the next thing that has to be done? Are we "checking out" and driving in the fast lane with no absolute destination and not giving attention to all the beautiful little moments in between that really mean so much? Amazing the thoughts that one (not so) little speeding ticket can bring to mind! We all need to remind ourselves of the value we bring every day...in taking the time to do every little item in our days with intent, purpose and our true being. Driving in the fast lane is not all it's cracked up to be...you miss so much...you lose so much...you can even lose yourself. Being present in the moment is what is calling to me right now...in life...in work...in my family. Be present and be true...and don't let the temptation of the fast lane pull you in...there is so much you will miss along the way. I challenge you all to take stock...look at your life, your loves, your work, your passions. Make sure you are present to what is happening every day...make decisions based on knowledge, asking the right questions, and the all-important "gut check". Become the owner of your life and your decisions...don't be that driver speeding by just trying to get to the next checkpoint the quickest way possible. If you are interested in learning more about Lawyers With Purpose and want to experience first hand the impact it can have on your estate or elder law practice, join us in Phoenix October 20-22nd for our Practice With Purpose Program. If you're an existing member and want to attend, please contact Angela at acrowther@lawyerswithpurpose.com.